Yes, it's on the Gold Coast. 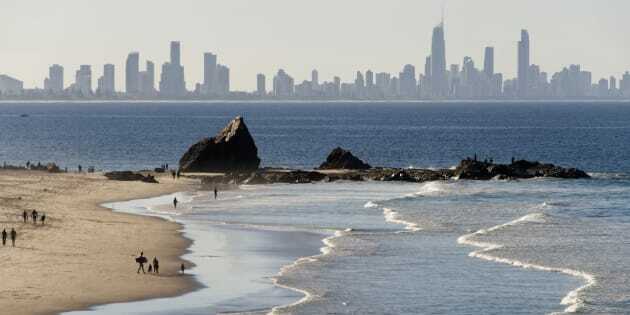 An new town or city could rise out of the Gold Coast skyline. It's the loftiest of ambitions. A huge, visionary city to be built on struggling cane fields, creating 100,000 of jobs, connecting Brisbane and the Gold Coast with high-end living and the world's greatest theme park as its glittering showpiece. The vision is grand and it looks set to become a reality. Norwell Valley is not what you'd call a thriving community. The landholders in this cane growing region north of Surfers Paradise are hurting. 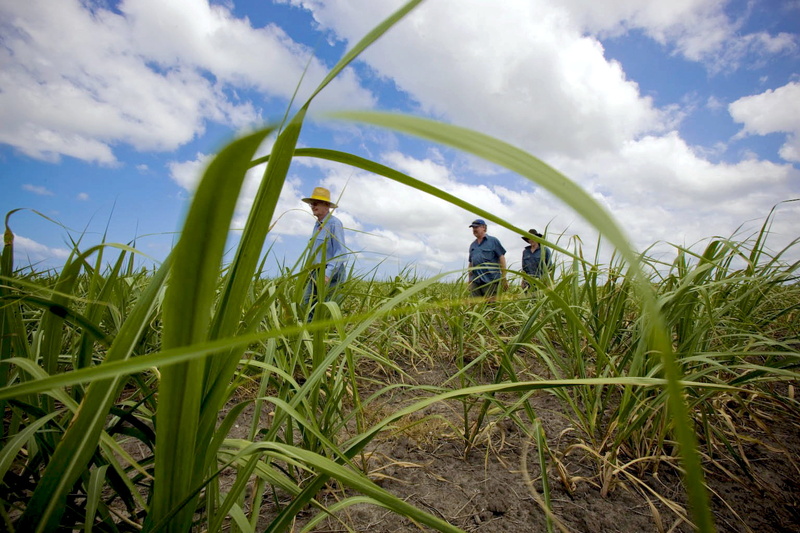 Canegrowers walk through a Norwell farm -- a site soon to become a thriving town or city. The nearby historic sugar mill is out of action set to close down, their crop is tied to the Aussie dollar and the younger generation has little interest of taking on the dwindling enterprise. Largely, they want out, and 248 property holders joined forces to create a 6117 hectare parcel of land to be sold to a master planner capable of making this vision a reality. Gold Coast Mayor Tom Tate is on board, describing the new region as "an oasis". "It's about creating jobs for our city at the same time giving the cane farmers the opportunity to exit their industry," Tate said to reporters on Friday morning. Tate hinted at interest from global theme park operators. "The primary objective is to enhance our city offering, that our city can have more than just three theme parks. "The good part is that I hear that Disney wants to come out and the likes. 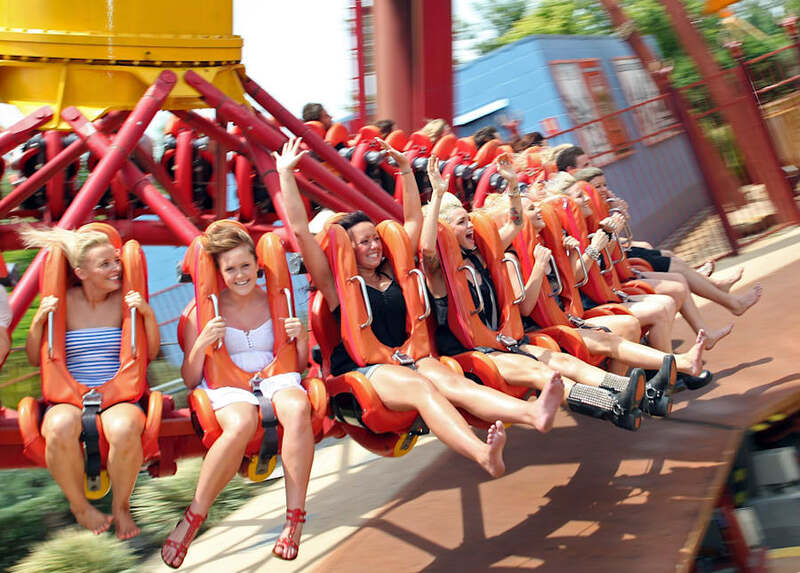 The gold coast is already home to Dreamworld (pictured), Wet'n'Wild and Movie World. "Back in the 80s, the Gold Coast was renowned -- we had the best theme parks anywhere in the world and that includes America. You know one thing about tourism is you've got to reinvent ourselves. "The theme parks are going to be state of the art." So how do a group of farmers turn their land into a glittering new tourism attraction?. Landholders have put their trust into commercial real estate agents Canford Property Group and managing director Roland Evans told The Huffington Post Australia he was looking for a master planner to make it happen. 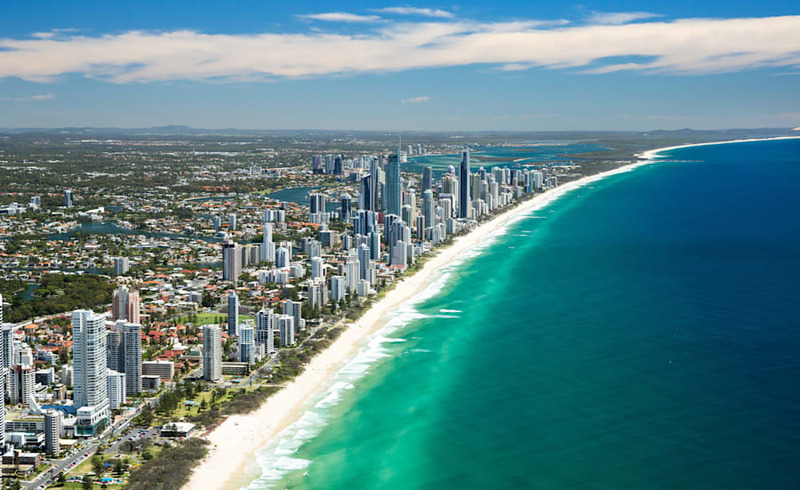 Weather wise, the Gold Coast is one of the best places to live in the world. "We want it to be a state of the art city or township that's going to be right at the cutting edge," Evans told HuffPost Australia. "We're talking a high-tech medical research education facility, council want it to be a big tourism generating area so we're probably talking theme parks and the actual township itself will be high end, not high density. "We want this to be special and it will be down to a master developer to create it." And does this person exist? "There are a lot of interested parties. It really needs somebody with a lot of experience and enormous amounts of capital to get it off the ground and work with council and state government. "Then it will take a huge amount of infrastructure -- roads, rail, light rail and depending on what they want, utilising the waterfront." Evans said he was certain the project would happen. "Everyone's pulling in the right direction," he said.